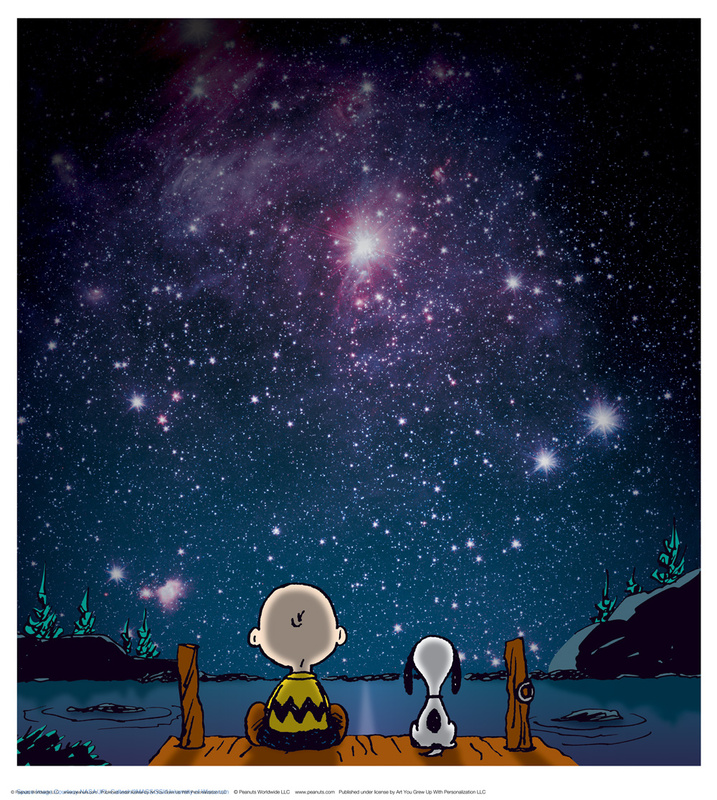 A beautiful edition combining the artwork of Schulz, with an official photograph from the NASA archives. Credited University of Wisconsin. You won’t be able to stop looking at this stunning piece once it’s in your possession! This is an image that says “Anything Is Possible”! "Stars" is an official Limited Edition Chromatic Pigment Ink Fine Art Print on 308gsm acid-free Photorag paper, created from the original artwork archived at the studio. Celebrating 65 years of PEANUTS™ Heritage. Hand numbered, includes Certificate of Authenticity. Measures approx. 24" x 26" and published to a strict edition of only 299 pieces. "Stars" Limited Edition Chromatic Pigment Ink Fine Art Print created from the original artwork archived at the studio. Celebrating 65 years of PEANUTS™ Heritage. Hand numbered, includes Certificate of Authenticity. Please allow 2 weeks for your order of this Peanuts limited to ship.